So Volume 3 of Lloyd and the Bear went off to the printers at the weekend after a super long time of being put together! The last few weeks I’d been on the look out for potential reviewers who would like to submit an early review of volume 3 so I could add their (hopefully positive) comments to the back of the book. As it turns out I had mov vgive a review that I would then post on here and he did (and it was positive too! Whew!)! Sooooooooooooooo happy with this! See here’s the thing, it can be tough juggling a job, personal life and also putting together the adventures of Lloyd and the Bear (these guys in to a lot of trouble, right?)! Buuuuuuuuut, it’s also SO MUCH FUN and what makes it all that more great is when I hear cool things like this! 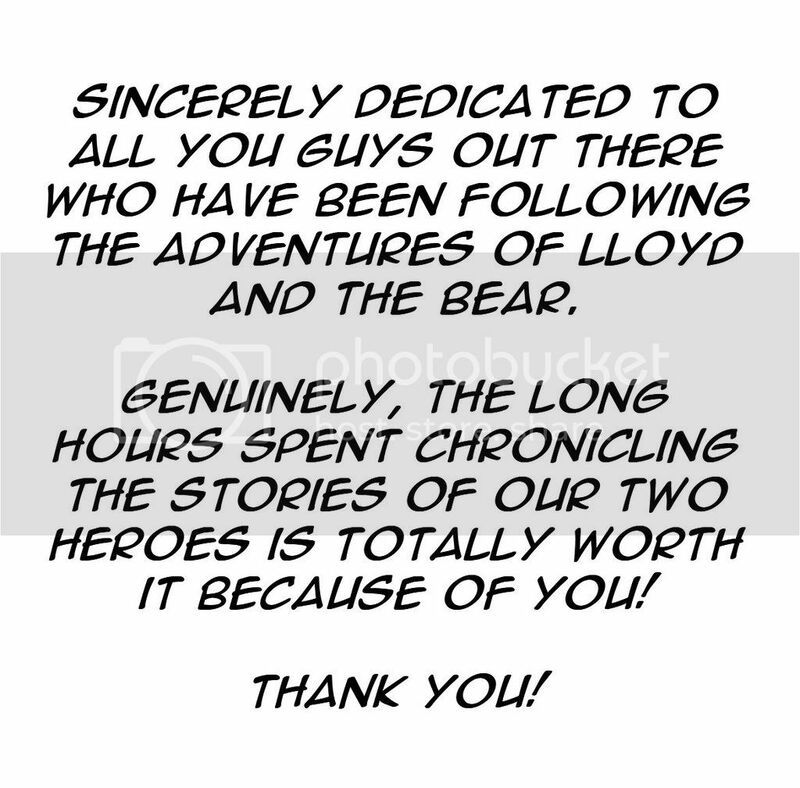 And coincidentally enough, my dedication in the third volume goes out to all you guys who visit this here website, the social pages, email me, stop by our table at conventions or simply pick up one of our books from either the online store or Comixology! So yeah, spoiler but here’s that there dedication! And I really mean it as well. You guys are so astoundingly awesome! BIG thank you to Emma for getting in touch and an even BIGGER thanks to Jack for your kind words! Well made up! PS. Issue #12 was also submitted to Comixology at the same time as the book went off to print so fingers crossed it will be accepted and available digitally soon! PPS. I rock. I have it in writing so it’s true. Yay!